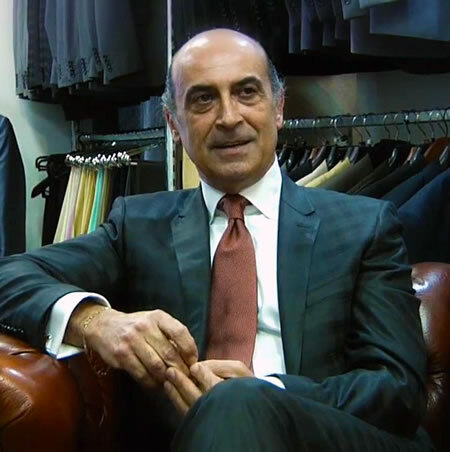 My career in men’s fashion began more than 15 years ago, and my goal, first and foremost, has always been to provide excellent service to my clients. My prior work experience was in the world of film and television, (RAI, Italian Radio and Television). Alongside fellow Italians, who are great masters of European Cinema, I was exposed to expert designers of the male wardrobe, which gave me a foundation of design, texture and colors. This is why I strive to create the perfect wardrobe for my customers, whom I consider friends. With its entourage of notable citizens, Palm Beach has long been known for its lavish and luxurious tastes. From Donald Trump to John F. Kennedy, many successful men of the Island are known for their commanding presence. These men know the value that a custom-tailored suit can add to their negotiations, whether in business or politics. In addition to leaders in men’s fashion, Palm Beach has also been home to several fashion designers, including Vera Wang and Lana Marks. If there’s any place where fashion is most important, it is among the socialite of Palm Beach. Our shop is located in Downtown West Palm Beach on Hibiscus Street, only blocks away from Clematis and Cityplace. You may find us right across the street from the entrance to The Prado Condominium.